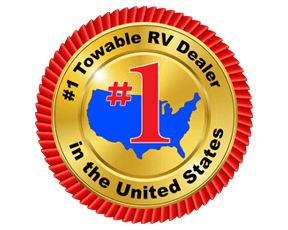 Been searching for the ultimate fifth wheel with a V-nose for better wind resistance to your destinations? Do you prefer to have a separate garage from your living area? Then load up your toys and gear to head out in this XLR Nitro. Having dual entry will help when loading your gear as well as your clothing in the front master bedroom. 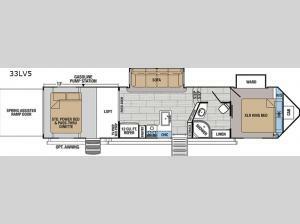 The separate cargo area offers a power bed and dinette, plus a loft above and a side man door. You will also find a space prepped for a TV and washer/dryer. You can enter the main living area through the garage patio door or the main entrance into the unit. There is a large sofa to relax or sleep on, plus full kitchen amenities. The double entry bath will not disappoint neither. Take a look!